We all have our obsessions. Some painstakingly tabulate every death in John Wick 2, while others recreate Game of Thrones’ Red Keep with Legos. Now, Friends superfan Kit Lovelace has shared some investigative deep-diving of her own with an intensely detailed breakdown of how much coffee each cast member consumed throughout the series’ 236 episodes. Considering the local coffee shop, Central Perk, was a fixture throughout the series, the answer wound up being, well, a lot. Though the data makes it clear that coffee consumption dramatically dipped as the series entered its final seasons, it’s notable that Rachel’s affection for the stuff spiked dramatically after the first few seasons (it probably helped that she wasn’t serving it anymore). 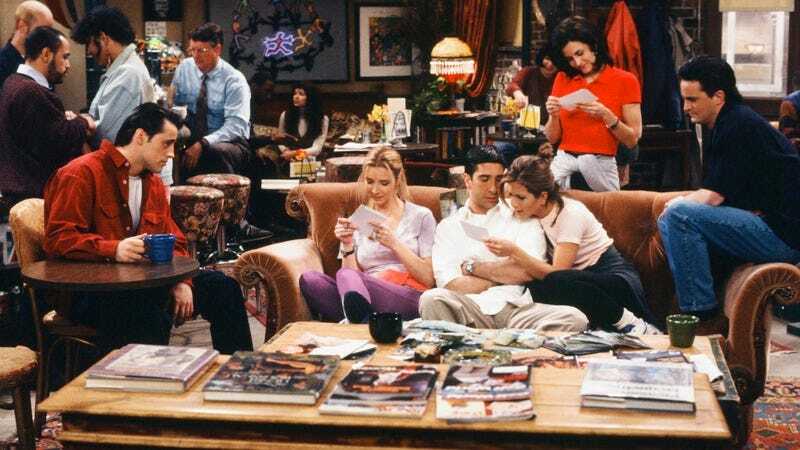 Chandler proved himself the most caffeinated of the men, but it was his habit that eased up the most throughout the series. Phoebe led the pack amongst the women, though one inquisitive Twitterer pondered whether she was truly the coffee type. Kudos to Lovelace for knowing that one can’t get too caught up in the what-ifs in studies such as this. Without discipline, after all, we’d never have ended up with these detailed floor plans of iconic TV houses or these tiny dioramas of scenes from Seven and Breaking Bad. It’s in moments such as these that the obsessive becomes the artist.